On Thursday, April 4th, Elliott Elementary school kicked off the Month of the Military Child with a full day of family activities and celebrations. 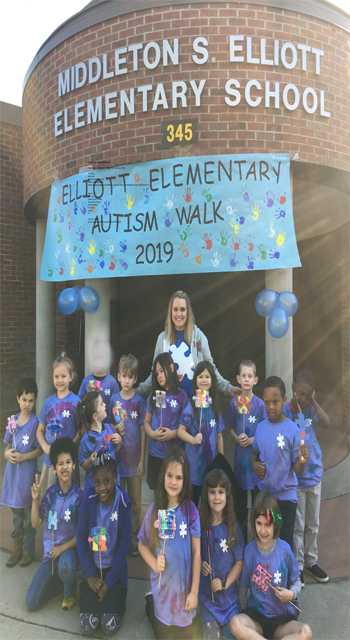 The special day began with students, parents, and staff taking part in Elliott Elementary School’s first Autism Walk. Participants wore special tee shirts, hats, or visors, and carried the Autism icon of puzzle pieces as they strode around the block along the poster lined decorated route. The Walk’s intent was to bring awareness and understanding of those with autism and the challenges these individuals and families face. Next “The Readers Are Leaders” winners were honored from each class in their grade level assemblies attended by parents and staff. The top two winners in each grade level received an additional special certificate and prize. To round out the morning, families gathered for the annual Elliott Family Picnic celebrating the Military Child. This year the skies were clear and the weather perfect as this special family time was enlivened with jazz music provided by The Parris Island Marine Corps Band’s Jazz Ensemble. The air was filled with music and laughter as students and younger siblings danced to the upbeat music. 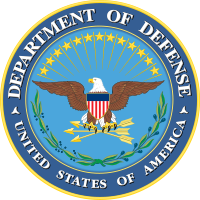 What a beautiful day to salute our very special military families!